If you are planning to establish an online retail store, or you want to update your present Magento store, you will need to know the basic parts of an ecommerce retail store. Unique Domain – If you already have an existing ecommerce site, most likely you have a domain in the form of www.storename.com; if you do not have one, think and get a catchy domain for your website. User-Friendly Navigation – Plan carefully the structure of your website. You may design it yourself, or you can employ the services of a professional and reliable web developer or, particularly, Magento store web developers. Its architectural layout should be user-friendly and easy to navigate. Plan how you will classify your products or services and how you will incorporate your policies. 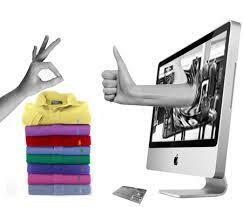 Conduct research and observe other websites or online retail stores, and take note of their strengths and weaknesses. Modify their strengths and improve their weaknesses. Branding Strategy – This component is mostly overlooked by many retailers which is crucial in promoting your brand. Plan carefully and develop a signature image and ambiance to your Magento store. Make sure your official logo and other branding badges are included. Blogs, social media accounts, and other means where your visitors and customers can communicate and interact with you and your staff. Check-Out or Cart Scheme – Logically, if you are planning to sell products and services online, your Magento store should have a method where visitors can order and pay for their purchases. In developing an effective checkout system, you may design it yourself or you may employ the services of reliable web developers to assist you in designing your checkout system. You may choose and contact experienced web developers such as creative.com.au or magentiv.com.au. About Us/FAQ – Customers want to know that they are dealing with authentic business and company, especially when it comes to where their hard-earned money goes. They will be looking for basic information about your business such as contact name(s), valid telephone numbers and email add, your business’ address, and clear-cut policies and procedures on refunds, returns and exchange, shipping, and the like. For free consultation, you can call 1300 055 867 or send email.